But delaying the process is the nature of centralized services which is why it is not a good practice to rely on only one service to get your hands on cryptocurrencies like BTC, BNB, ETH, LTC, etc. Having faced such issues first hand, CoinSutra believes in diversifying things even at the service level. But this doesn’t mean using any service randomly and trusting them with your coins or funds. That’s why to ease out things, we at CoinSutra, review services first and then recommend the legit and suitable ones to our readers. And given the fact that CoinSutra is the pioneer in the crypto space, we recommend only those services that meet our high standards. 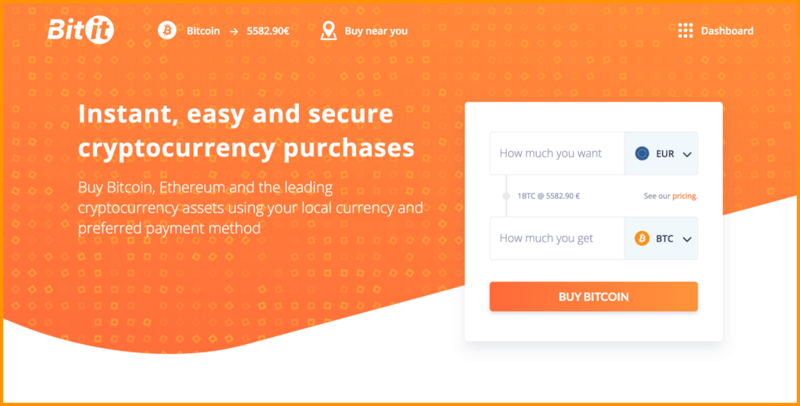 Bitit is a crypto company that makes possible for its users to buy and sell leading cryptocurrencies without a headache in their local currency and preferred payment method. Bitit powered transactions are secure, easy, and instant, thus making it the most straightforward platform for cryptocurrency purchases. Based out of Paris, Bitit was founded in 2015 by three friends who believed in cryptocurrencies with the aim of making cryptocurrencies accessible to even those in the most remote areas on earth through a simple platform. 1. Buy cryptocurrencies via credit/debit cards and all the cards from prominent card processors such as VISA, Mastercard, Maestro, American Express. 2. Buying through cash vouchers is also possible on Bitit (CASHlib, Neosurf, Bitit). Use Neosurf & Cashlib cash vouchers to buy Bitcoin, Ethereum & more in over 150K+ stores around the world. 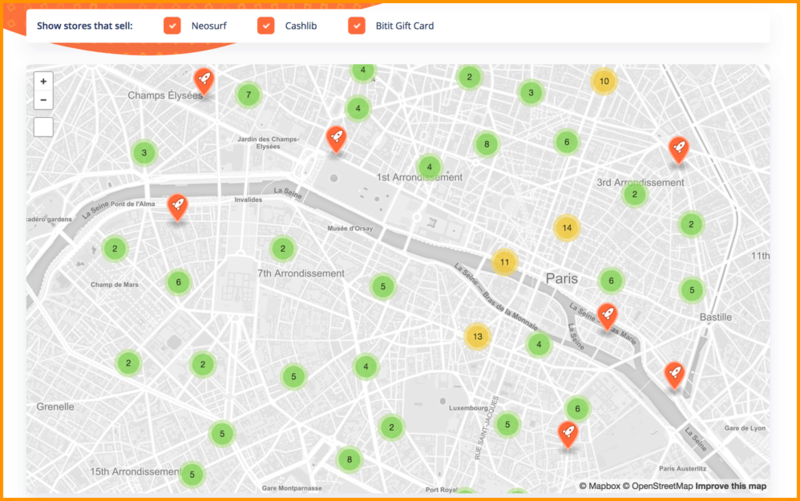 Locate a store nearby you using this map. 5. For Merchants: If you are a merchant who wants to bring Bitcoin to the mainstream, this is your chance. You can sell Bitcoins through Bitcoin Bitit Gift Card on your store and open a new revenue stream as well as attract new customers. The fee is much better than Bitit alternatives and in comparison to its valuable service that it provides, it is worth every penny. Plus, one can buy/sell Bitcoins and other currencies from their intuitive platform easily anytime. But I would not recommend you to store your cryptocurrencies on it. And for security reasons, even Bitit doesn’t provide the facility of inbuilt wallets in their platform, a smart move to compel investors to understand about the wallet and its security on their own. That’s all from my side in this article. Let me know if I have missed anything notable. Also, tell us which exchange/service you use. 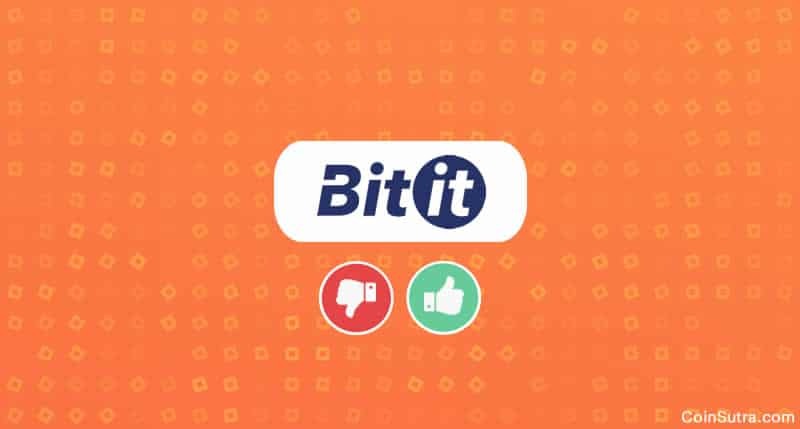 Have you used Bitit yet? If yes, do share your experience with us in the comments below. Looks like a convenient platform for cryptocurrency exchange. Thank you very much for the review. Their fees is very high . They need to reduce those fees. Great post, and great startup idea for a company! The features that “Bitit” offer are excellent, such as using vouchers and credit/debit cards to purchase Cryptocurrency. The only downside that I see is that the fee’s are extremely high, and many potential users would shy away from using this platform because of it. Thanks for the informative post Sudhir.